RitterTech is a multi-state distributor of Parker Hannifin motion and control products and systems, Graco industrial lubrication equipment, and Enerpac high-pressure power tools. MCE supports an extensive line of other top-tier fluid power and industrial lubrication products. RitterTech has been serving the fluid power community since 1951. We are experts in automation, specializing in hydraulics, pneumatics, electromechanical, filtration, lubrication, and fluid connectors. At RitterTech, our staff provides professional, expedient service and is here to answer any questions you have. Our staff offers quality and reliable products that you can count on. Browse our Web site for more information about RitterTech. If you have any questions or would like to speak with someone regarding our products and services, please e-mail us at mcesales@mceautomation.com or call us at 724-452-6000. 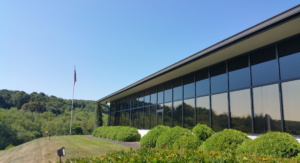 RitterTech was originally established in 1951 by Wayne G. Ritter as Ritter Engineering Company and was a franchised distributor of Trabon centralized lubrication systems for the Western Pennsylvania area. Originally located in a small second floor office on West Liberty Avenue in Pittsburgh, the company quickly expanded into the locations surrounding the Great Lakes industrial region. In 1957 the Chicago branch was opened, followed closely by a Milwaukee branch in 1958. To serve the automotive industry, a Detroit branch was opened in 1963 and an Erie, Pennsylvania branch was opened in 1965. As the branches grew, multiple Parker stores were opened in and around the branches. The company headquarters was moved to Zelienople, Pennsylvania in 1990. Ritter’s association with Parker Hannifin began in 1953 and the company quickly became one of Parker’s largest distributors within the United States. Ritter is also a leading distributor of Graco lubrication products and Enerpac hydraulic tools and technology as well as more than 50 other industrial tool suppliers. Each branch uniquely serves the markets in and around its specific location, however the capabilities of each are strengthened by the expertise and resources of the company as a whole. In 2000, Ritter Engineering changed its name to Ritter Technology, a name more reflective of its diversified capabilities. In 2017, the company name was abbreviated and rebranded as RitterTech. RitterTech is now a division of Motion & Control Enterprises. RitterTech. Your Resource for Automation Expertise.